Within DocbookMD, open the menu on the left and then go to the Pharmacies tab. 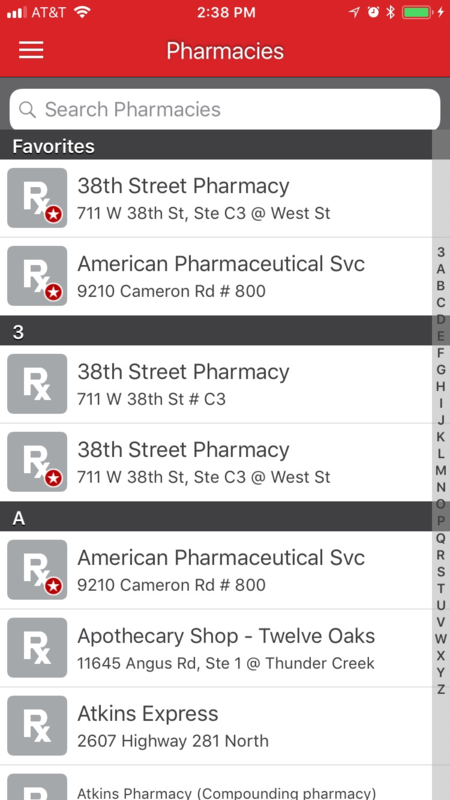 Use the Search Pharmacies field at the top to search by zip code or name. You may also use the scrolling alphabet index to the right of your display. If a pharmacy you need is not in the Directory, please reach out to DocbookMD Support, so we can add it.